Traditional, Transitional, Contemporary: What’s the Best Kitchen for You? If you’re considering a kitchen makeover, there’s no shortage of options when it comes to style. From warm woods and brick that create a rustic feel, to the hard angles and smooth gleaming metal surfaces of a contemporary kitchen, there’s sure to be something that’ll fit in perfectly with the picture in your mind. Which kitchen style will suit you best will depend on your own aesthetic preferences, but make sure the style you select will match the rest of your home to ensure transitions to other rooms remain seamless. Today, our kitchen remodeling contractors explain three popular kitchen styles: Traditional, Transitional and Contemporary. A blend of the traditional and contemporary styles, the transitional style offers the best of both classic sophistication and modern simplicity. There are many more options than just these. When it comes to kitchens, you can get as creative as you want! 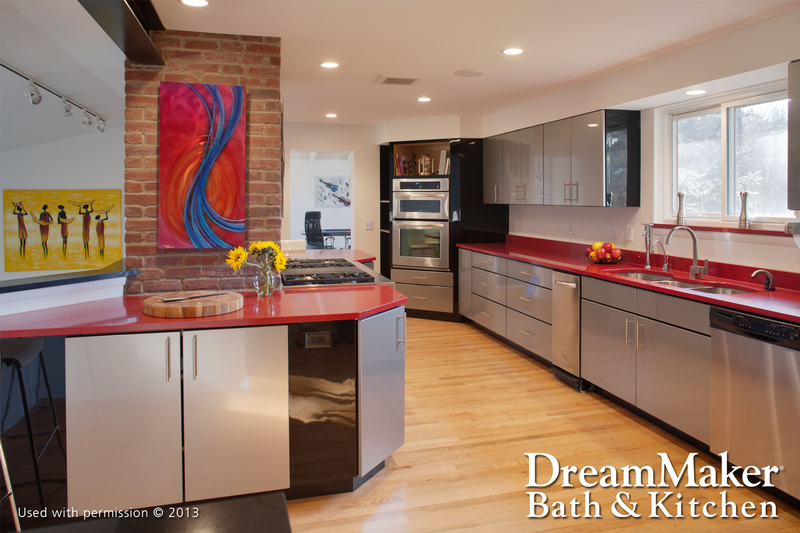 Look no further than DreamMaker Bath & Kitchen of Northeast Suburban Chicagoland for the best solutions for your kitchen remodeling needs. Call us today at (847) 327-0203 or fill out our convenient online form to schedule your consultation.